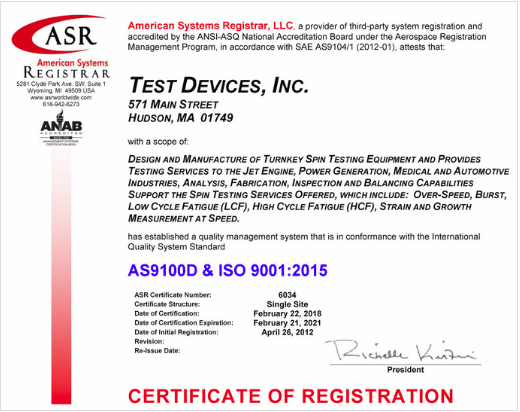 AS9100D Certification | Test Devices Inc.
Access our ASD9100D & ISO 9001:2015 Certification to save for your records. This document certifies that Test Devices has established a quality management system that is in conformance with the international Quality System Standard. To download your copy of this certification, simply fill out the form.